This month, we discovered that September 15th through October 15th is National Hispanic Heritage Month, which recognizes the history, culture and contributions of Hispanic Americans to the United States, including some wonderful food related ideas! Being from Texas, we already are huge fans of different Hispanic foods (Mexican and Salvadoran especially), but outside of the standard Americanized options, I'm not all that adept at cooking them. 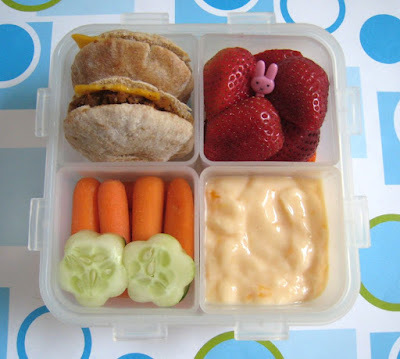 So this month, it's Hormel to the rescue with some great ideas! Leftovers are also great for lunches, like these mini pita tacos! 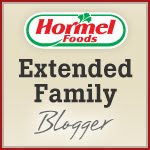 So what's cooking at Hormel that's perfect for this month? Creamy Tomatillo Avocado Salsa - Combine Herdez Tomatillo Verde Mexican Cooking Sauce, a ripe avocado, non-fat Greek yogurt, and cilantro leaves to create a delicious twist on traditional tomatillo salsa. Shredded Beef Enchiladas - Create homemade enchiladas that will impress your family by topping them with a combination of beef and La Victoria Red Enchilada Sauce. Chicken with Tomato Mango Relish - Use Chi-Chi's Thick & Chunky Salsa to marinate your chicken for an irresistible mix of sweet fruit and spicy salsa in one amazing recipe. Chocolate Chipotle Ice Cream - You'll need an ice cream maker for this delectable dish that incorporates Herdez Traditional Chipotle Mexican Cooking Sauce into the mix! How about your family? Any tried and true recipes to share?